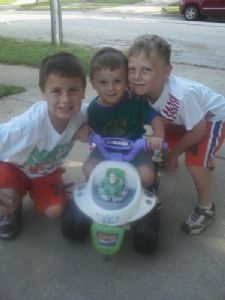 NannyAvailable.com is the best place to find top nanny or babysitter positions in Indianapolis, Indiana IN. If you are a babysitter or nanny in Indianapolis looking for a child care position, you can search and find work without any stress and in no time at all. Whether you are a student looking to make some extra money babysitting or you are a child care professional looking for full time or part time child care position as a nanny; NannyAvailable.com has it all. Create your very own profile that employers will be able to view and contact you with the best child care jobs in Indianapolis, and search through the job postings and contact employers if you think you can fill the advertised nanny or babysitter positions. Finding a babysitter or nanny job in Indianapolis has never been so easy. NannyAvailable.com makes finding child care jobs in Indianapolis easy and stress free. Posted May 2 by Kenya M.
Posted July 29 by Sophie B. Posted May 1 by Therese L.
Posted December 24 by Brandi K.
Posted November 22 by Maureen O. Posted August 9 by Beth M.
Posted August 9 by Amalia L.
Posted June 19 by Inessa ..
Posted May 28 by Britney W.
Posted May 22 by Bess L.
Posted May 17 by Martin R.
Posted May 7 by Rina K.
Posted November 1 by Bridget S.
Posted February 16 by JOYCE C.